Leading mental health experts explain: why stigma exists, how to break it, and what you can do if you need help. Mental health is going mainstream. From Charlemagne Tha God’s live therapy session on VH1, to Pete Davidson opening up about being diagnosed with BPD (Borderline Personality Disorder), or Kendall Jenner admitting that she has debilitating anxiety — more and more celebrities and media personalities have shed light on this very important topic. 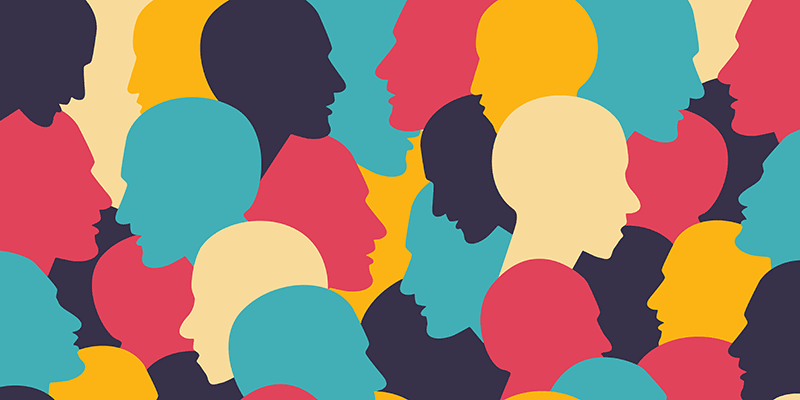 Yet, despite the recent surge in social acceptance for mental health, many people still feel the “stigma” around mental health is going strong–making it hard for some to seek help when they need it. About Dr. Bryan Bruno: I am the founder and Medical Director of Mid City TMS, a New York City-based center focused on treating depression. Mid City TMS uses transcranial magnetic stimulation (TMS) to cure depression. The stigmas surrounding mental health are mainly due to an overall lack of education on the subject. Many still view mental health problems in others as a moral or ethical failing, rather than a condition that can be treated. The best way you can help break the stigmas around mental health would be to share your own experiences with mental health issues. As more people realize that mental health disorders can be common among the friends and family they love, as well as the peers and coworkers they respect, the less likely they are to view those people in a negative light due to their mental health. The main piece of advice for those seeking mental health help would be to start with an activity you’re comfortable doing and work your way toward professional guidance. Even recognizing that you need help is a strong first step. Talk to friends or mentors about their own thoughts on the issue you’re dealing with, and also get the perspectives from those who you may not talk to on a regular basis. A diversity of advice can sometimes be the push you need to speak to a mental health expert. About Dean Aslinia: I have a PhD in counseling with a specialization in marriage and family. After several years of private practice and teaching graduate counseling courses, I am currently, Department of Counseling Chair for University of Phoenix and President-Elect Arizona Counseling association. Mental health has a long history of stigma partly due to the lack of education and misinformation around it. Mental illness is not tangible and cannot be physically seen like other illnesses. This makes it easy to ignore but it must be taken as seriously as physical health. While statistics show that one out of four people in America suffer from mental illness, society as a whole still does not recognize, value, or respect the severity of such illness, sometimes with fatal consequences. While the pains of suffering from mental illness are not always seen, the real effects, such as suicide or homicide, are clearly seen and felt in our nation. The time is now for us to finally de-stigmatize mental health and validate the pains of those that suffer in silence. People can break the stigma around mental health by talking about it similarly to other common illnesses. In our society, we do not see any shame with sharing that we take medication to control our bad cholesterol, yet we find it shameful to share that we take antidepressants to regulate our emotions. Once we normalize discussions around psychological and emotional pain, we can start to help break the stigma around mental illness. It starts with us talking about it more openly. There is nothing wrong with seeking help. In fact, it is brave. At the end of the day, you are the one suffering, not those who are sitting around and judging. Reach out and talk or email a mental health professional. Give a professional a chance to help you figure out what might be beneficial for you, as opposed to a friend who has limited, to no knowledge of what is happening with your brain chemicals. Mental health stigma is the belief that those with mental health concerns are “crazy” and are thus viewed as less than within our culture. Stigma has existed for many reasons, however given how mental and emotional health has been misunderstood for many years it is not surprising that stigma exists. We still don’t fully understand the processes that take place that ultimately result in someone experiencing mental and emotional health concerns. Previously mental health concerns were often viewed within the framework of morality, associating someones symptoms/behaviors with their own moral failings. We no longer believe this is true, rather contemporary research points to mental and emotional pathology steaming from a complex interaction between our genetics and our environment. We have seen this same dynamic play out as our contemporary understanding of alcoholism has shifted from being viewed as a moral failing to our contemporary disease based model. Further due to the lack of understanding of mental and emotional health, conversation about these concerns has been limited, with many individuals feeling that they needed to hide this part of themselves, as a means to protect their livelihoods, relationships and status. By not talking about these concerns stigma was perpetuated. Be part of the conversation. One of the most powerful things happening right now is people stepping up, owning their own struggles, and spreading the word that there is hope when it comes to mental and emotional health. The truth is that we all struggle with these things, and the sooner we recognize these things and seeks resources, support or treatment, the better our long term prognosis is. There is a power in naming it, and normalizing it. If you can, a great place to start is by reaching out to schedule a consultation with a mental health professional. A consultation is an opportunity for you to connect with a professional in a informal way to get more information about their approach, and for them to explore if they are the right fit for what you need. We are trained to be non-judgemental and our goal is to support individuals in finding the right provider/treatment services, additionally during consultations we can give you more of an idea of what to expect from treatment. Most providers will offer consultations at a free and reduced rate. If reaching out to a professional feels daunting, another option is to speak with friends or family who have had mental and emotional health concerns, or who have attended treatment. Many people are happy to share their story and experiences, and this can help to normalize this process as well. Do you have experience with Stigma around mental health? Comment on this article and let me know! Dan Pierce is a Founder at Mentally Fit. Mentally Fit is a Community on a mission to make mental health as normal as going to the gym and as fun as a Friday night out. They offer events, education and support to their members from all over the world--both online, and in-person at their NYC clubhouse. Dan started therapy at a young age, and struggled with mental health challenges, like substance use disorder, depression, anxiety and Borderline Personality Disorder. Dan started working in mental health in 2008, and it has been a passion of his ever since. Dan is an educator, advocate and entrepreneur who has been featured on Inc., Entrepreneur, Forbes, Business Insider, FOX 5, PIX 11, News 12, TODAY Parenting, Huffington Post, Thrive Global, among others for his entrepreneurial work.